Arsenal coach Unai Emery believes Real Madrid can adapt without Cristiano Ronaldo. All-time leading scorer Ronaldo left for Italian champions Juventus in the off-season and Real Madrid have battled to fill the void following four consecutive matches without a goal. Real Madrid have lost three of those games, including last week's shock 1-0 LaLiga defeat at Deportivo Alaves, increasing the pressure on under-fire head coach Lopetegui. Emery, however, is confident Lopetegui, who replaced Zinedine Zidane at the start of the season, can get Real Madrid balance back. "Real Madrid must find balance without him and they need time to adapt, However, I think Julen will find it." Emery added: "We cannot answer for Julen, but when it happens to me, I try to be patient, but it is difficult to ask for patience in football. 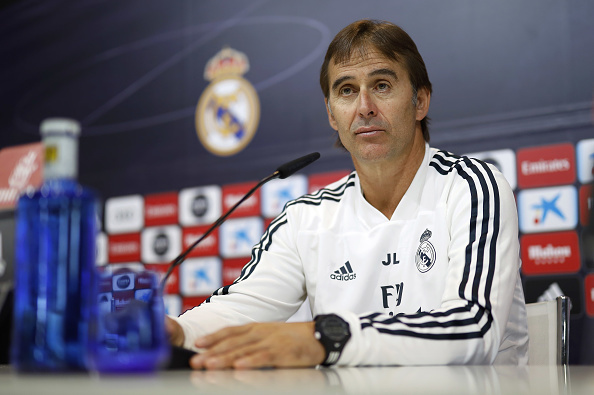 I'm sure the goals will come for Lopetegui."